The Ola 25 kitchen by Paolo Pininfarina is the centrepiece of Snaidero’s Redfern showroom. 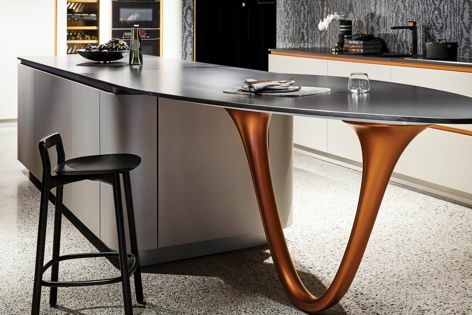 Italian kitchen company Snaidero has opened a flagship showroom in Sydney’s Redfern. Occupying 600 square metres and reflecting Snaidero’s Italian heritage, the showroom floor showcases eight kitchen designs, with the Ola 25 kitchen by Paolo Pininfarina the centrepiece.